why we chose them, and how they benefit you and your skin. Non-Nanoparticle Zinc is used in our sun protection because of its effective properties as both an SPF and Broadband coverage. The smaller the particles, the better SPF zinc provides, but the larger particles, the better broadband coverage, so manufacturers have had to find the best size to make both SPF and Broadband protection as effective as possible. Non-Nanoparticle Titanium Dioxide – When used together with zinc, we’ve found that our UVA/UVB broad spectrum wavelength protection increased significantly. While Titanium Dioxide doesn’t have the skin clarifying characteristics that Zinc Oxide does, the marriage of the two greatly improves our standard of protection. Coconut Oil is a great antioxidant and has wonderful antimicrobial characteristics as well. It has anti-aging qualities that stem from the saturated fats in the oil, and leaves your skin feeling softer and smoother. Honestly, there are too many awesome traits that coconut oil offers. Shea Butter is another moisturizer that we use because of its protective and regenerative quality. In addition, shea butter is non-comedogenic, which means that it will not clog your pores like cocoa butter. Candelilla Wax is a natural, non-animal based wax with superior quality. It has a smooth feel and keeps the Hippo Sweat on your face for long lasting protection. 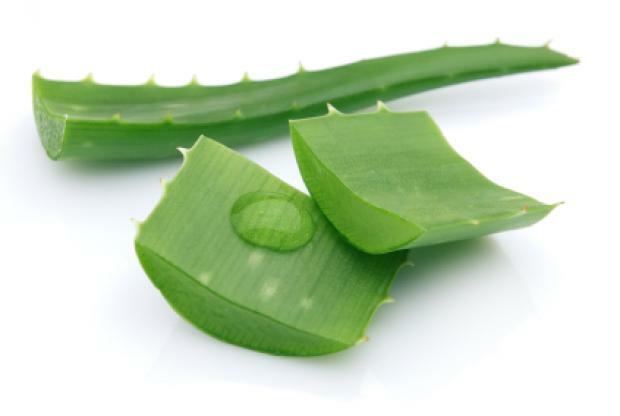 Aloe Vera is extremely effective at treating first and second degree burns and contains a high amount of antioxidants. Lime Butter by stimulating the circulatory system lime butter can help reduce inflammation. Also smells amazing. Agave Nectar is a strong bacteria fighter that also adds sweetness to our lip balms. Lavender is known for its ability to eliminate nervous tension, relieve pain, disinfect the scalp and skin, enhance blood circulation and treat respiratory problems. Mint is a natural stimulant, and the smell alone can be enough to charge your batteries and get your brain functioning on a high level again. soothes skin, it also helps to cure infections and itchiness. Cocoa Butter is high in antioxidants, which help fight off free radicals. This helps protect skin from stressors such as the sun which can damage collagen and create dark spots. Cocoa butter is also a great moisturizer because of its high fatty acid content. Red Raspberry Seed Oil is one of the most recently proclaimed ‘super’ oils. With Vitamin A, Vitamin E, Linoleic, alpha linoleic, and oleic acids, the oil helps reduce the damaging effects of free radicals on the skin, while replenishing moisture. Red raspberry seed oil also has the highest naturally occurring SPF of all essential oils with anywhere between 25 and 50 SPF. Sunflower Seed Oil has a very high fatty acid content as well as vitamin E, both of which work together to keep skin healthy and maintain its glow. 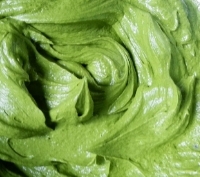 Green Tea Butter helps protect the skin from aging prematurely by blocking UVB rays. 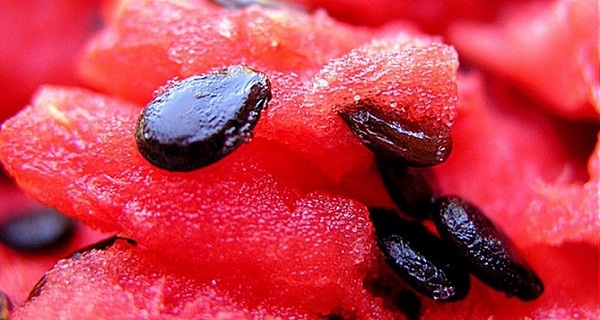 Watermelon Seed oil contains omega 3, 6, and 9 fatty acids as well as linoleic acid which all work to maintain healthy, glowing skin. Coffee helps in more ways than just a quick pick me up in the morning. Reduce eye puffiness, increase circulation and brighten your skin. Cocoa Powder is also packed full of antioxidants, but a couple of the reasons that we use it in our recipe is the tint that adds to SPF, as well as the amazing smell. Cocoa powder can also be used as a mood changer and to help satisfy chocolate cravings simply by its scent. Jojoba Butter works as a great carrier for minerals, proteins and many tocopherols all working together to lubricate and protect the skin and collagen. Avocado Oil is very high in vitamin E, potassium and lecithin which help to fuel and nourish the skin. Which Hazel is a natural astringent that can help to remove excess oil from skin and provide protection from environmental contaminants. Also acts as a nice cooling agent in our Sun Kissed. Cucumber Seed Oil holds a high vitamin B1 and C content whichl can help detoxify the skin's pores. 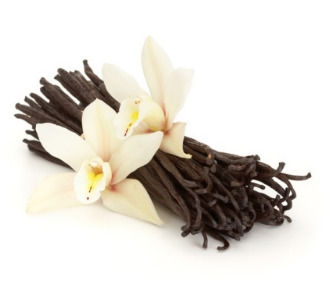 Vanilla has been used for centuries as an antioxidant and cognitive enhancing agent, and for good reason. Vanilla contains chemicals called vanilloids that activate receptors in a similar way to capsaicin, which is well known to reduce inflammation and improve mental performance.